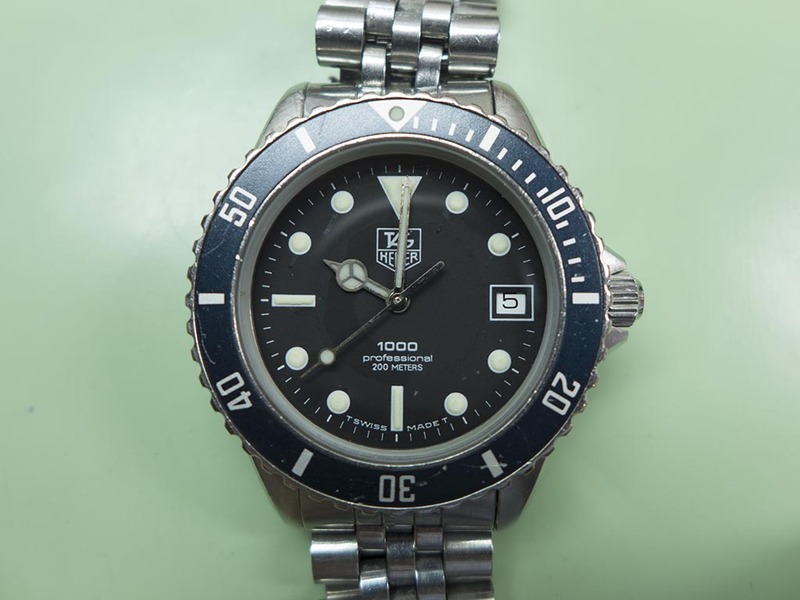 This Tag Heuer 1000 diver ref 980.013B came in for a service and a new dial foot recently. 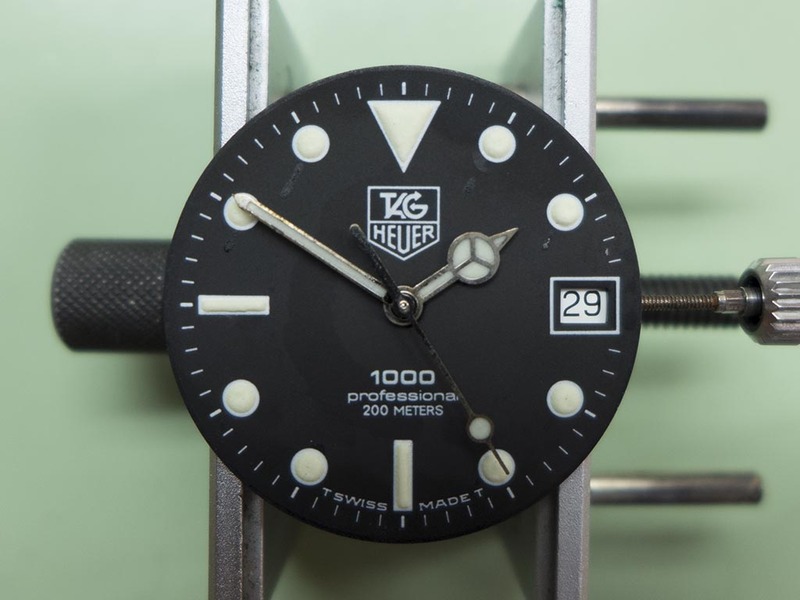 Powered by the ETA 955.114 quartz movement it’s a handsome looking watch. 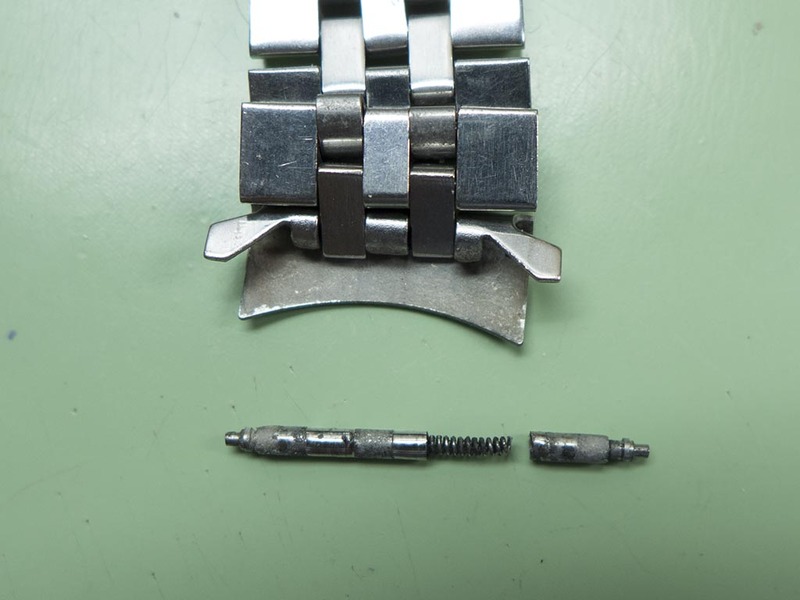 When I removed the bracelet I found the spring bars were very worn, in fact one of them had actually spilt in half, the owner was lucky this didn’t cause the watch to fall off whilst being worn! 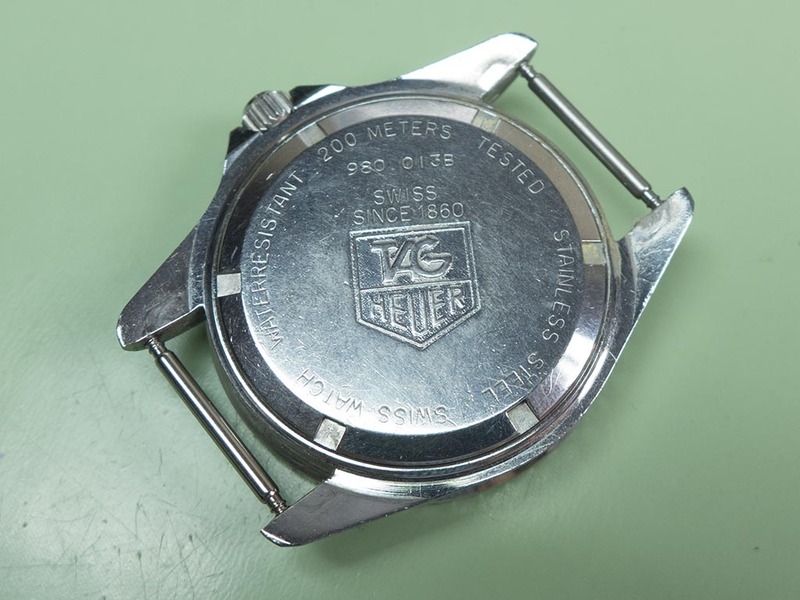 The caseback with the old style reference number. 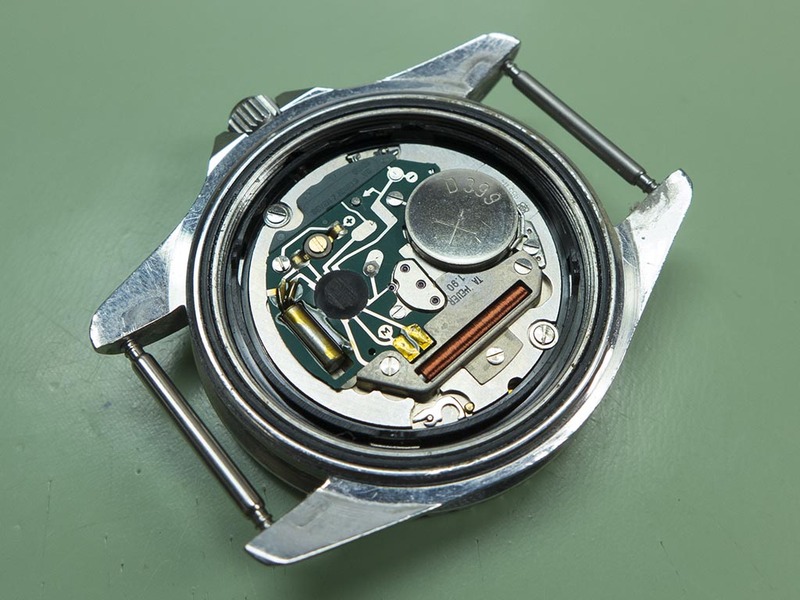 Inside the movement appears OK if a little grubby, no leaked batteries here. 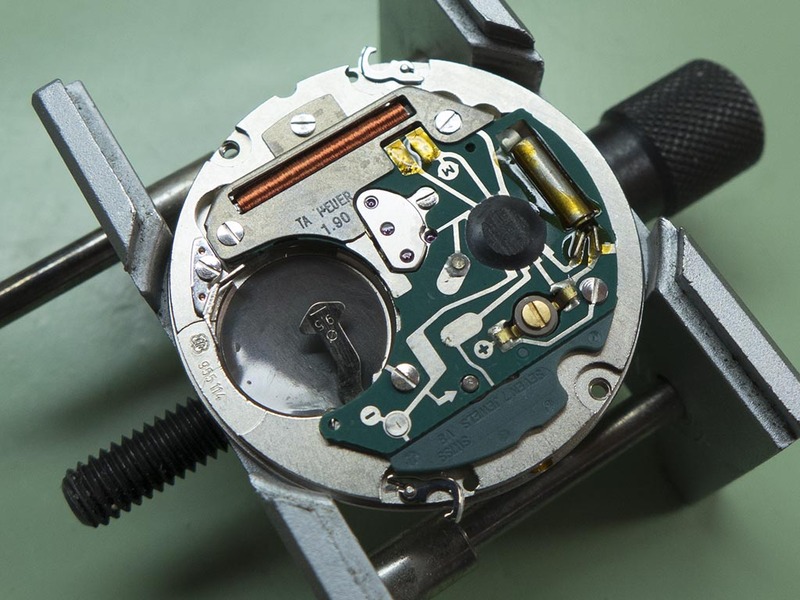 The movement removed reveals the Rolex style dial layout and handset. 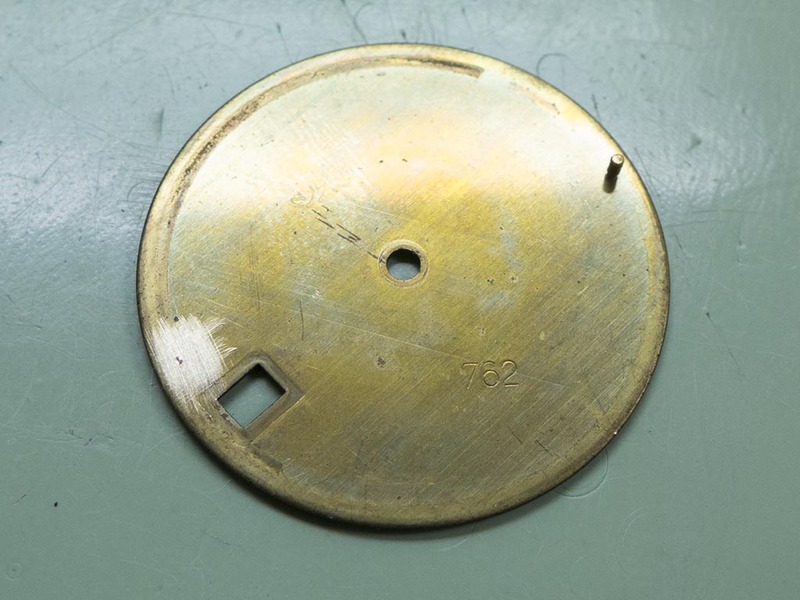 One oddity was the nylon movement ring had been smeared in grease, why I have no idea! 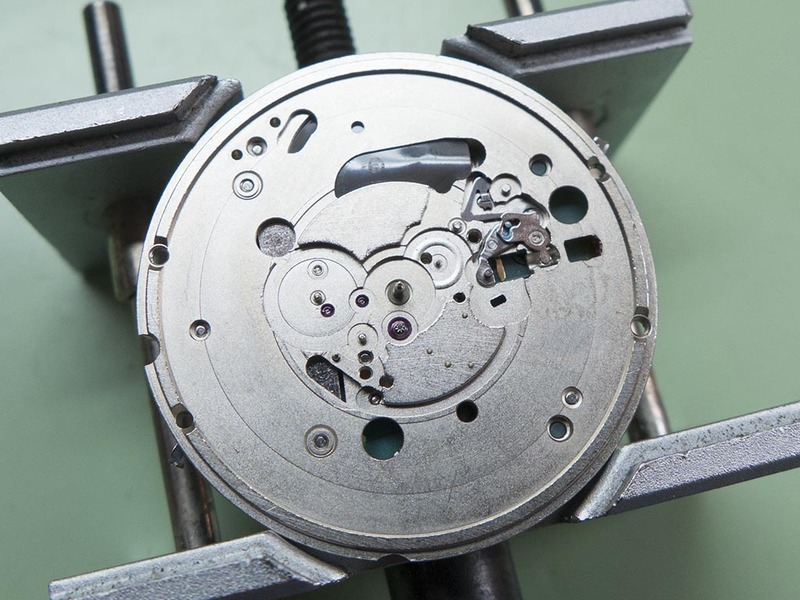 With the dial removed we can see the calendar components. 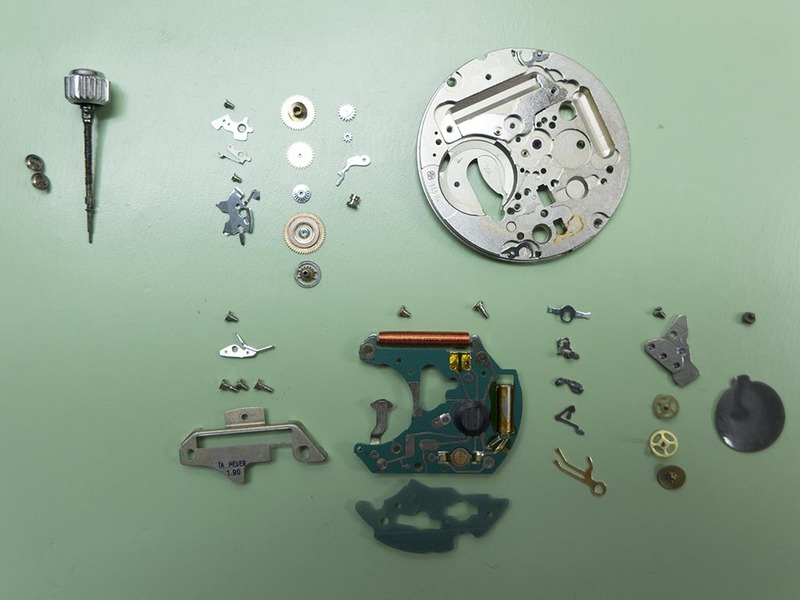 The movement was fully stripped ready for cleaning. 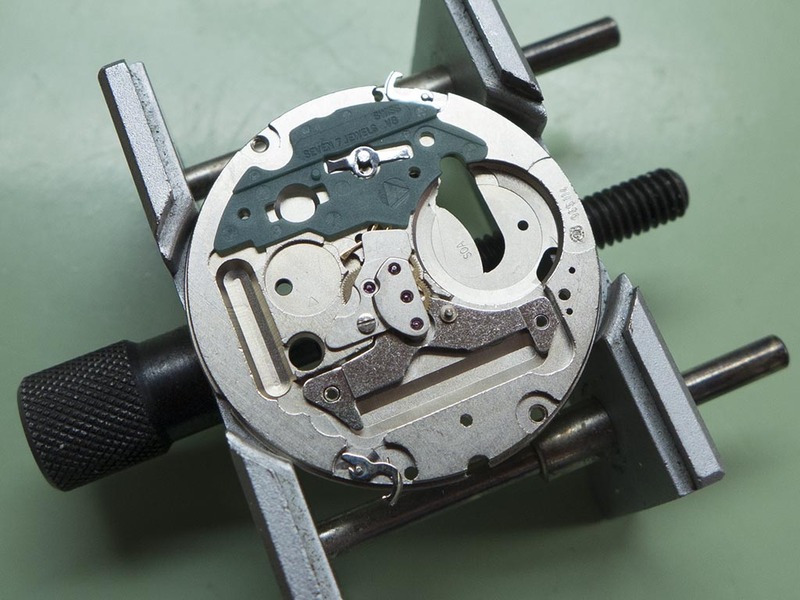 Whilst the components were cleaning I tackled the missing dial foot, these are so easy to break off as there’s only a tiny section holding the foot to the dial. The area where the new foot was going was cleaned. A suitable guage copper wire was selected, cleaned and fluxed. 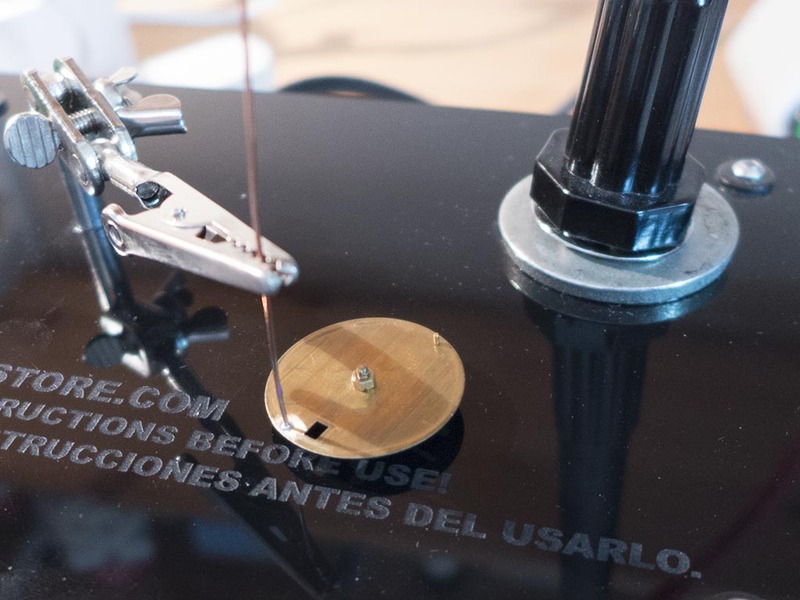 The dial and wire were positioned in the soldering machine and a quick blast of current was applied via the carbon rod. 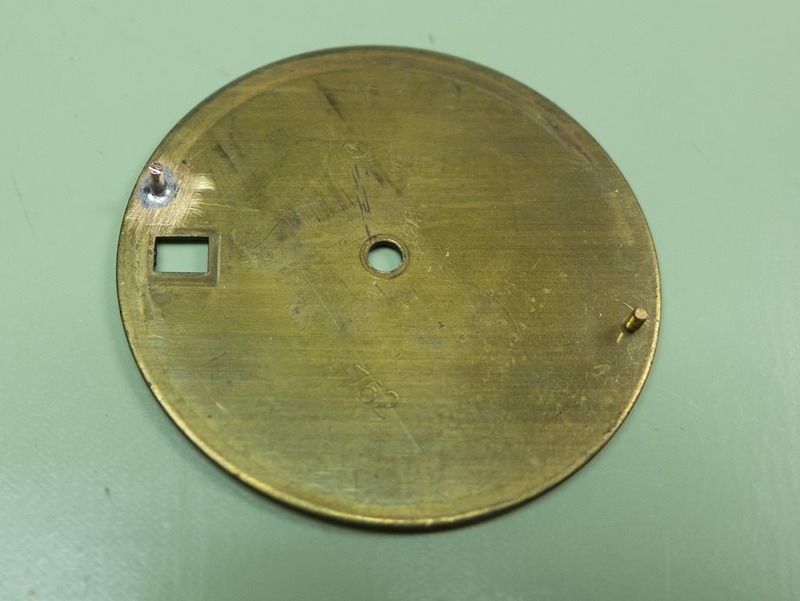 The foot is now attached and no damage to the front of the dial. Trim to size and job done. 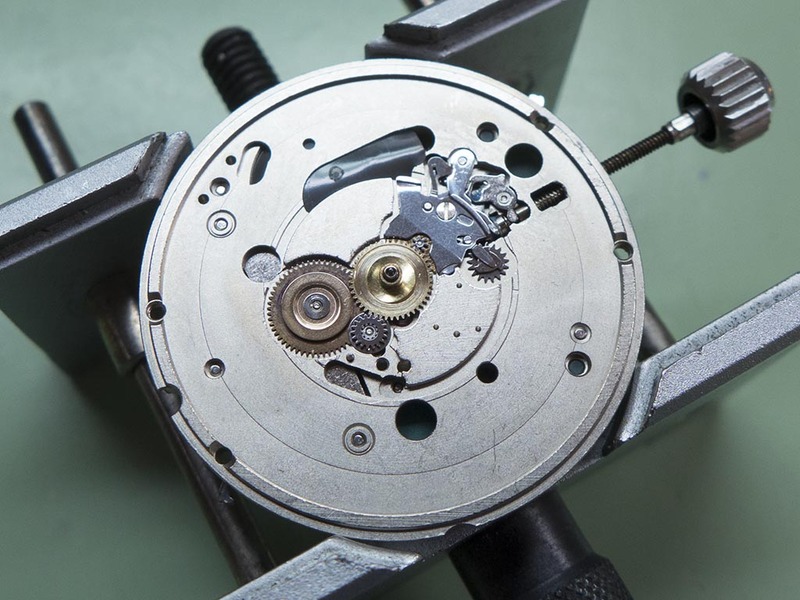 The movement reassembly began after inspection, the only thing of concern was a slightly corroded minute wheel which cleaned up nicely. The train bridge is back on in this shot. The keyless work coming together. 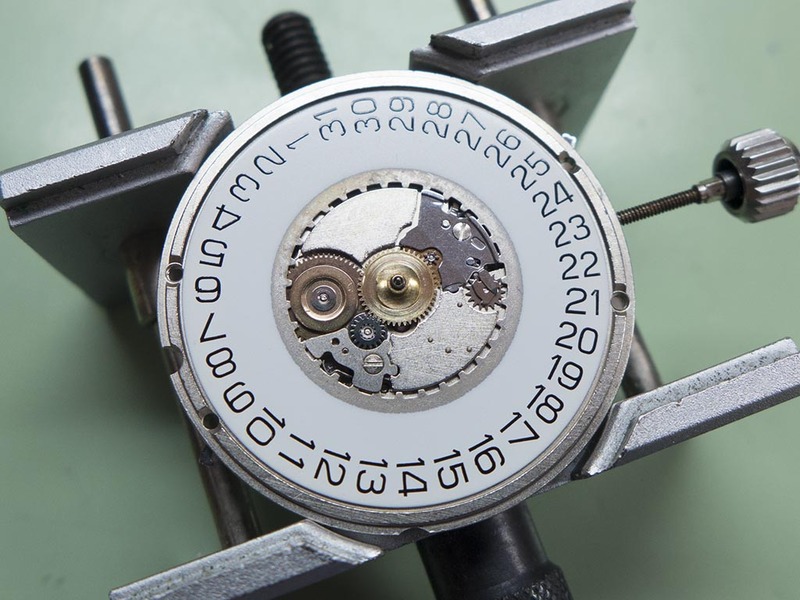 One point with these calibres is the three components you can see have to be fitted before the circuit block is fitted on the other side as the set lever is clipped to the plate from that side. Ready for the date wheel. 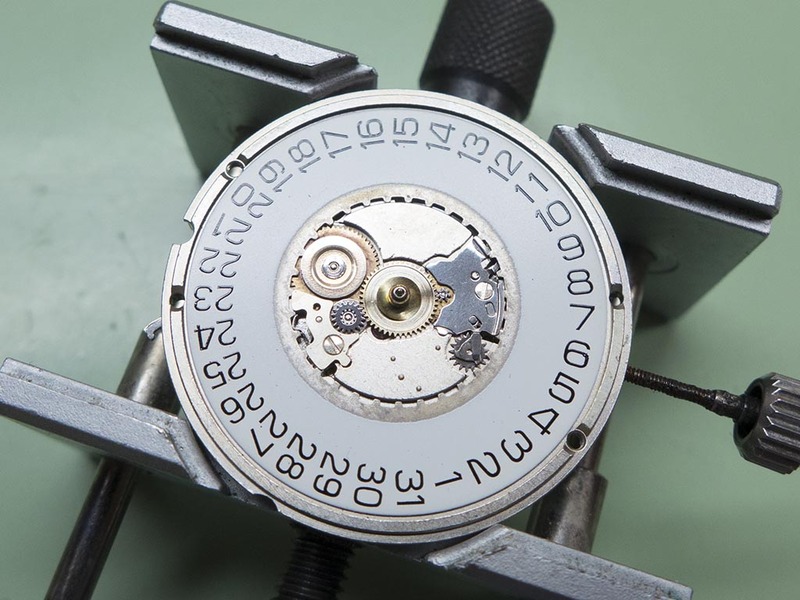 And ready for the dial. 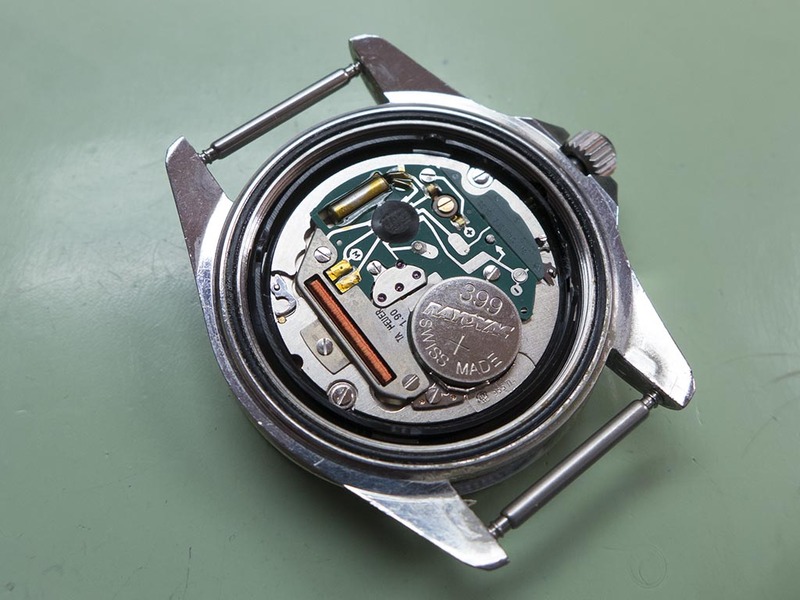 The movement recased along with a new battery. 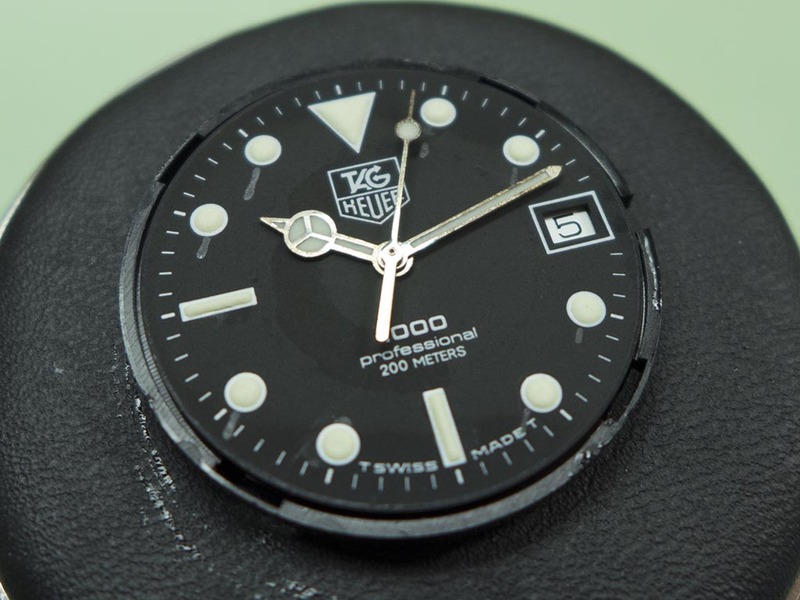 The watch completed, these Tag 1000’s are lovely little classic dive watches. Great reading! 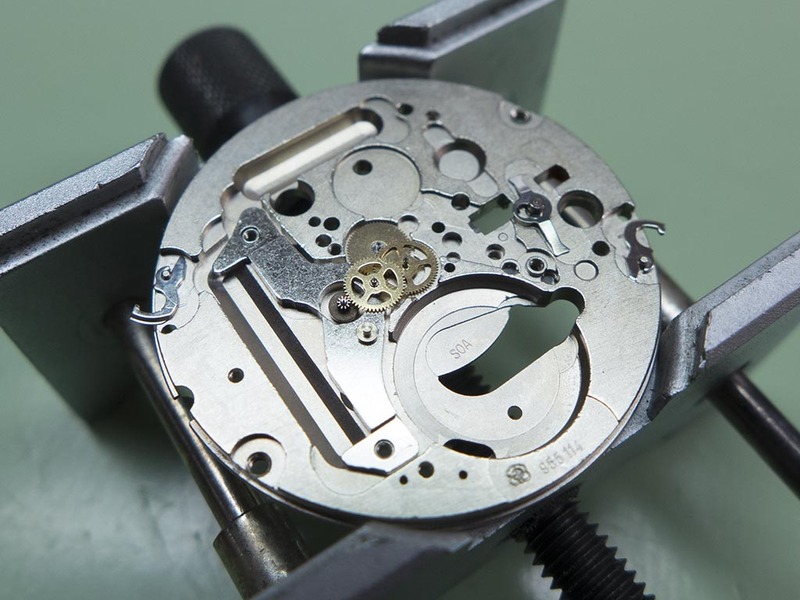 How do i find a movement ring to replace the old broken movement ring in My 980.013n? As always with out of production parts ebay’s your best bet. 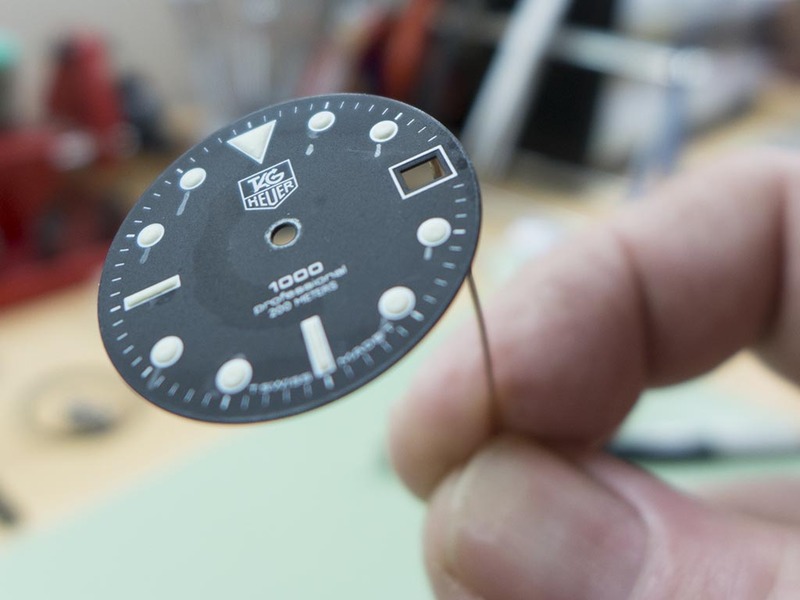 How did you manage to paint or retouch the dial? 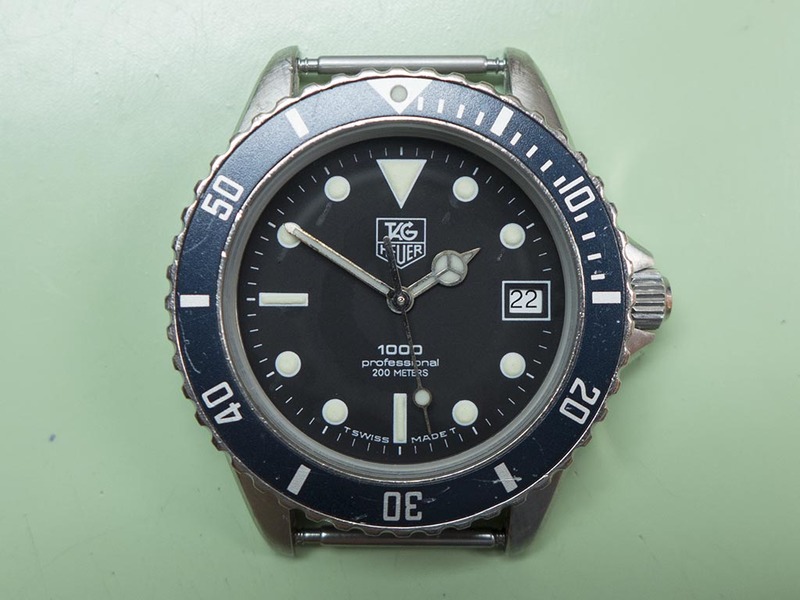 Is there any specific paint to retouch the dial? 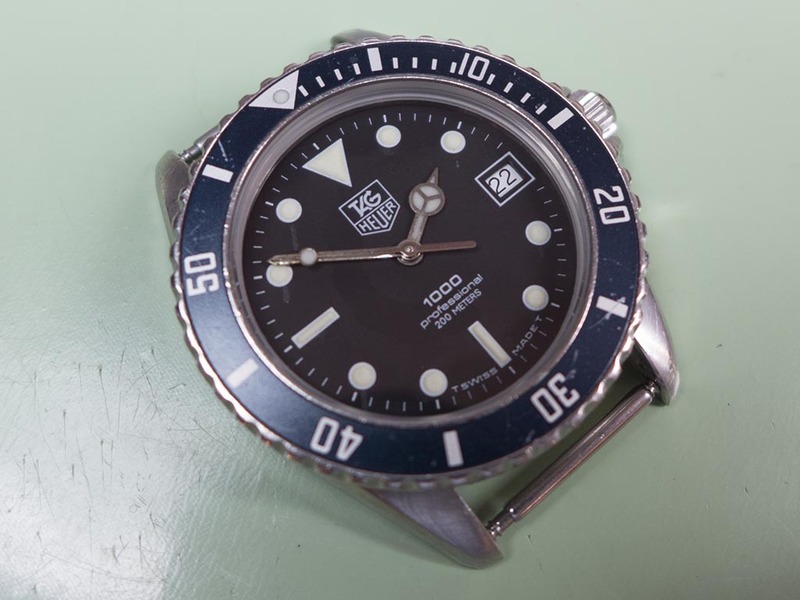 I didn’t paint or retouch the dial, just cleaned it up as best it would go. Oh..! I see. I guess you used rodico? or brush? to remove the stains. 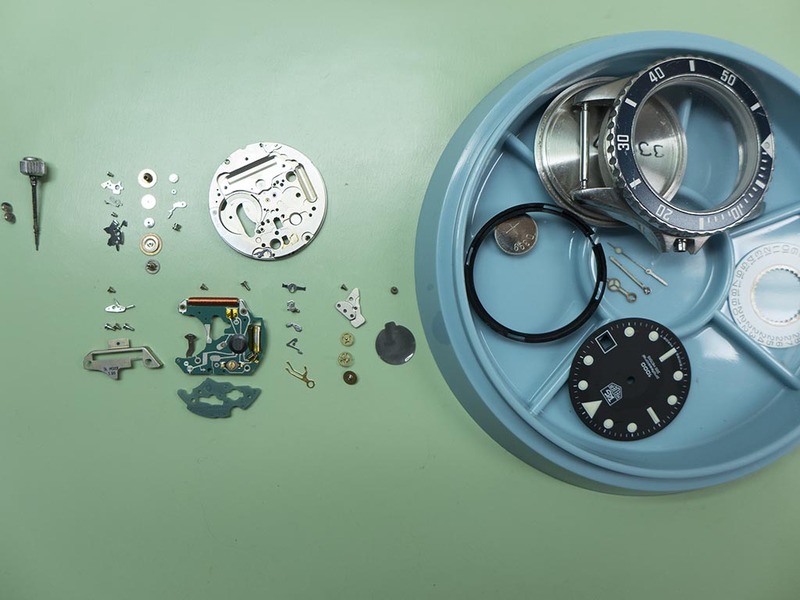 I was just wondering what is the usual practice in cleaning and coloring a dial. 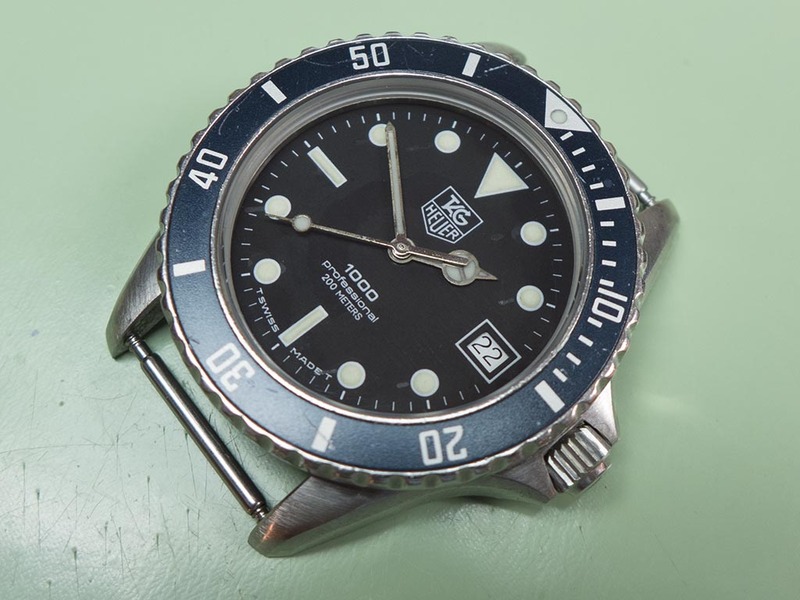 I am planning to not entirely repaint but to fill in some of the areas on or edges of a dial where it has chips due to the water damage.